Is there any better way to explore all the cultural wonders that Europe has to offer than by a luxury European river cruise? We think not — and our happy cruising clients agree! 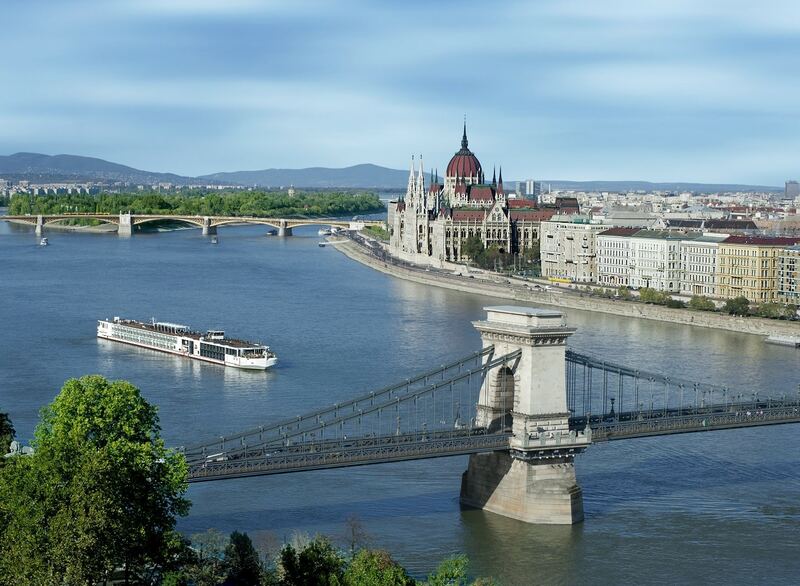 Luxury European river cruises take you to the heart of Europe’s most spellbinding sights. Spend your days docked in world-class cities, and your evenings sailing past magnificent, head-turning vistas, all aboard intimate luxury cruises that offer first-class service. Sounds like your next dream vacation? Explore Europe in style on an AmaWaterways river cruise. This is a great river cruise option if you want to experience a river cruise with wee ones, since some of Ama’s ships have family-friendly cabins. As an all-inclusive high-end river cruise line, AmaWaterways offers free wine and beer with meals, shore excursions, and bicycles for every passenger. 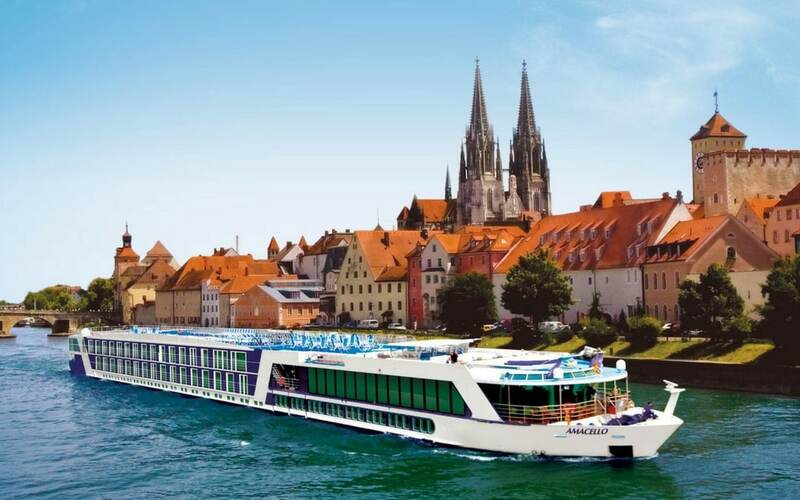 A top option for those interested in luxury cruises down the Europe’s great rivers, Uniworld Cruise is a boutique line offering a personal touch. Explore France, Italy, Amsterdam, Eastern Europe, and beyond with Uniworld Boutique River Cruise Collection for a relaxing, ultra refined way to see awe-inspiring sights. Many of Uniworld’s luxury ships only have room for 150 passengers or fewer, making for a truly intimate experience on board. Tauck’s river cruises through Europe were designed with intrepid explorers yearning to expand their horizons in mind. You can embark on a cruise that specifically fits your interests with Tauck’s themed luxury cruises focused on food, music, or the Christmas Markets of Europe. Tauck’s river cruise dining provides a lot of choice while focusing on regional cuisine, making every on-board meal a moment to truly savor. Viking Cruises may be the best-known name in the high-end river cruise market — with good reason. This upscale-yet-affordable river cruise line represents a relaxing way to explore some of the most beautiful countryside and bustling cultural capitals in Europe. River cruising necessitates smaller ships, so a Viking cruise is perfect for those in search of a more intimate way to sail on expansive itineraries full of cultural wonders. From the romantic Rhone to the blue Danube — and don’t forget the Seine! — many of Europe’s lost legendary rivers wind their way through France. Enjoy a European river cruise through France’s renowned wine country, sail past centuries-old villages, and dock right in the heart of the world’s most celebrated cultural capital — Paris. On a luxury river cruise through France, good food, great wine, and incredible sights combine to ensure you have a true trip of a lifetime. River cruise your way through Germany to feel like you’ve stepped back in time, into a breathtaking fairy tale. Red-roofed homes and towering spires await you in the medieval towns that cluster along the Rhine River. What’s more, German river cruises take you right to the heart of Germany’s underrated wine country. Sip crisp Rieslings as your boat sails passed the beautiful vineyards that stretch out alongside the Rhine and Moselle Rivers. Luxury River Cruises in the U.K.
Thatched-roof cottages, charming college towns, and bustling city boulevards — see it all on a river cruise through the U.K. Overnight river cruises sail down the Thames, taking your past stories cities like London and Oxford as well as Great Britian’s famed pastoral countryside. Another popular option for cruise enthusiasts is to sail around the U.K.’s isles via small ocean cruise ships. If you’re yearning for a luxury European river cruise vacation — without the overwhelm that comes with planning it all by yourself — get in touch. With 30 years of experience in the travel industry, our team knows the best luxury European river cruises inside and out. We’ll work hard to match you with the perfect cruise that speaks to your travel style, needs, and budget.